It's SO much easier to raise kids when you anticipate behaviors before they happen. What I'm talking about today is 'listening'. Before I tell you what I mean, I want to first let you know that Mike and I went through a series of classes offered by Growing Families International. Most people know it as Growing Kids God's Way or Let The Children Come or Babywise/Toddlerwise/Childwise, etc. We LOVED those classes and the things we learned from them as first time parents. One of the best things we learned from those classes was what they term 'First Time Obedience'. We all want our kids to listen to us the first time we ask them to do something, but it's just not going to happen 100% of the time (or 95% or 90%.....). They usually don't clue in to us because they are too busy with what they are doing or they don't want to stop what they are doing. Something that will help with that is asking your kids to respond to you calling them FIRST and then you give them instructions. So instead of saying 'Suzi, pick up your toys', say 'Suzi, come here please' or 'Suzi, come see Mommy' or 'Suzi, come to Mommy'. She should be looking at you and answer 'Yes' or 'Yes Mommy' or whatever you decide and then you can tell her what it is you want her to do. Use whatever lingo works for you, but ask her to come to you FIRST and then ask her to do something. It's not foolproof, just better. It's something simple that most people already know about and mostly do, but maybe this will help someone who doesn't know and remind the rest of us to anticipate that they won't always do what you ask unless you first get their attention. just wanted to make sure everyone knows the class starts next thursday, may 7. just wanted to clarify. my garden is loving this rain! i am so sorry that i have been away so long. this week has been CRA-ZY! as far as the sewing class goes, just come the first week. i think that we are going to do pillows and i am open for the other option for the evening if some of you want to make suggestions. for those of you that are wanting to do alterations etc. or have a specific project that you want to complete let me know in the comments. that is no problem. i will work with each of you and just float around. we will go over many basics the first night. i have tons of extra fabric from different projects that i have done so if you want to dig into my stash and do not want to purchase fabric for the first night that is A ok with me. i also have a super easy oil cloth table cloth for outside we could do that as our second option. ps...the garden is in and there will be more on that soon! 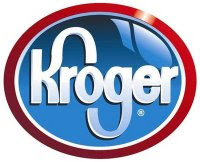 here is a great list for kroger. thanks cincinnati cents. walgreens and cvs. thanks southern savers. getting down and dirty in the garden today. man i am really praying all this work and money pays off. One of the questions I get asked a lot is getting your kids to eat healthy. Or somewhat healthy. I’m not that great at it, but I guess people assume since we try to live naturally, we eat only green leafy vegetables. I do try to make sure they eat well but we also have the fun stuff. I think if I can find a little balance while instilling some good habits then we’re doing okay. I’ll give a few suggestions and then maybe you guys can share what works for you in the comments. Generally, we try to have something green on our plate at every evening meal. Broccoli, asparagus, green beans, salad. You really can’t beat something green. The other colored vegetables are good, but many of them are high is starches/carbs and our kids get plenty of that stuff. I try to fix something for their plate that I know they LOVE (usually the starch – potatoes, rice, pasta) so the meal isn’t a total disappointment. They can have as much of that as they want as long as they eat a portion we expect for their protein and vegetable. They stay at the table until they are done. We almost always drink water for dinner. They complained at first, but now many of them ask for water over any other drink (including the 3 year old). They LOVE dessert and we try to have that right after dinner so they aren’t asking for it RIGHT before it’s time for bed. For snacks I try to be proactive. They usually want what I have, so if I can be eating something healthy before they come home from school or wake up from a nap, they just sit down and eat with me. Dark chocolate is a favorite around here, so I sometimes have chocolate covered strawberries for them. I make rainbow fruit skewers which is way more fun to eat than just a bowl of fruit. They like pistachios and cashews and raisins and craisins. They like when it’s in a little container or basket. They like it when it’s ‘in a fort’ or on the deck or on the playset or under a tree on a blanket. It’s just a matter of finding what they like and having it in the house and ready for them. If you wait until they ask for a snack, you will find yourself negotiating with a 3 year old (or a 5 year old or an 8 year old or a 12 year old). Okay, this post is way too long already…I like short posts. Just a few more things. When they want something to drink(juice/lemonade), it is always water in between. We don’t have soda/pop that often, but the same rule applies. Sugar cereal is only for Saturday morning. They have sweet snacks, but a good snack has to come before it. What I usually say is they have to eat something ‘real’ every other snack. In other words, it grew that way. Now if I could just apply all those things to myself….. So share your tips. We could all use a little help. is 6:30 or 7 better? we will meet on each thursday in may! for those of you that had not run into our youngest the last 10 days, he had a little green cast on his foot. today we had it taken off. yea! but oh my gracious did that thing stank! stink is too kind of a word for how it smelled. i kept the shell of the cast to do something very unkind to my brother the next time i see him. you know how that sibling rivalry can be. you are drawn to do things that are unexplainable to anyone but the receiver and the perpetrator. 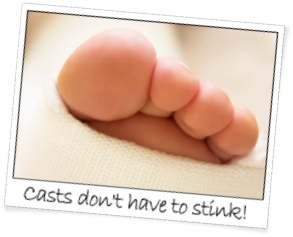 so i am currently creating my detailed plan that will involve sir stinky foot's cast. anyway back to the original topic our youngest g and his foot. he was so cute in the doctors office today. talking up a storm while the ladies that were helping remove the cast explained in great detail all that would go on. g just sat there and listened so carefully to all that they were saying answering the questions with a yes maam. after they were all done he looked at me and said, what-di-zay-say? so in a way that only a mother can explain to her own child, i told him what was going to happen in two sentences. he simply answered, ok. and he knew that it was because i was there right behind him holding one hand and one foot all was alright. he was great. no tears and really was just the perfect little man. you know...these moments are the ones that make parenting so rewarding. sadly they are not all this pleasant. but the unpleasant ones are fewer and fewer. praise the LORD! after the cast was removed they gave me what was supposed to be a wet wipe, that had long since been wet to remove the "stank". lets just say that i don't know how many showers it is going to take to get rid of it but i am thankful that thing was only on for 10 days. and i am so thankful it was my 3 year olds foot and not my dear husbands that i am sure would have produced at least 3 times the stinch! great paper today. what would you like my dears? the whole notion of going green kind of cracks me up. really green means those good old fashioned ideas that our great, great grandparents used and taught their children, and then were past down until we got too good to make our own things to clean and fertilize and take care of our families. we have now figured out a way to commercialize ideas and notions that have been in practice for hundreds of years. ok enough on that tangent. white vinegar will disinfect and unclog drains. mix with water and it makes a great cleaner for counter, glass, and tile. thanks to www.southernsavers.com for these tips. thursday night is the night! it is not too late to come if you want to join. i have not picked a date to start or a time. looking for suggestions. let me know. walgreens trip 2: you could do this all in one trip just separate transactions for the toothbrushes. 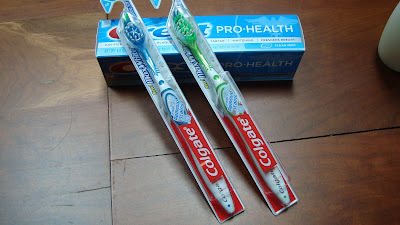 buy the toothpaste and one toothbrush in one transaction. use register rewards( from the first trip first then give the 75 cents off manufacturers coupon that takes off the toothbrush. use your free toothpaste coupon from the glucose monitor. then you will receive a 3.50 register reward. then do a second transaction for the 2nd toothbrush. use another 75 cent off coupon and get a second 3.50 register reward. do not use your first 3.50 register reward to buy your second toothbrush or the 2nd register reward will not print. do 2 separate transactions with 1 pump and 1 refill in each transaction. 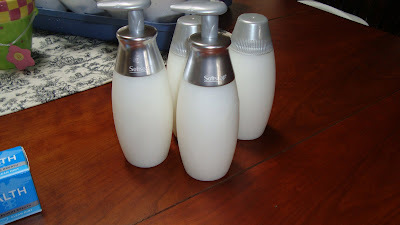 use 1 $2 off coupon for the pump (soft soap ensembles) and $1 off for the refill. i used some EBS i had to pay for the rest of the amount. with each transaction $4 ECB prints off. suave small hand lotions are $1 this week so with a 50 cent coupon they are free. the rebate for the monitor can only be redeemed for the amount that you spent. so 14.99 is a little different than 55.00. but still a free $15 bucks. all of these items are free after the register rewards that you earn when you purchase them. i purchased the edge shave gel and the scunci bands first. 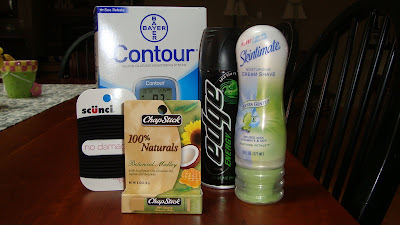 then used those register rewards to purchase the chapstick and the skintimate. some of these items are not marked for RR but they do print off. i used the $30 coupon that was in the paper for the glucose monitor and i will be filling out the rebate for $55 that is found in the box. the monitor will be donated to hope ministries ( paid nothing out of pocket) and i will profit $55 from the rebate. plus when you buy the monitor a free crest toothpaste coupon prints off for you to use on your next purchase. another deal to look for is easter hershey kisses. 4 bags will be $5 ( they are on sale now) and there is a $5 rebate this month for hershey candy. so they are free. i unwrap these and keep them in the baking cabinet for peanut butter blossom cookies and chocolate dipped strawberries. think outside the box for uses of mild chocolate candy. you can also pound it a few times with a wooden spoon and use the chunks for chocolate chunk cookies. cvs info coming soon. these little crispy eggs were so fun to make and super simple. 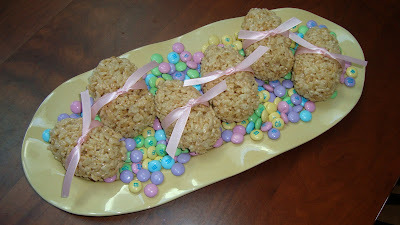 use the rice crispy recipe and grab a large plastic easter egg. fill both sides with rice crispy treats and squeeze together. i sprayed the inside of the egg with pam. tie a ribbon around the egg and garnish how you please. easy as pie, no easier! i have had quite a few requests for a sewing class so here is your opportunity. i would love to teach each of you individually and make any indivdual project that you would like. however, realistically speaking i would have to forgo mothering my 3 children, being as compassionate as i possibly can (this varies depending on the moment and hour) to my precious husband, and somewhat mantaining the house. so here is the plan. i would like to do a sewing workshop for 4 weeks. i am open on the time, day or night, and even the place if some of you that are going to participate would like to host one of the workshop evenings. each class will have need to be at least 2 hours possibly three to get an entire project completed in an evening. i would like to have 4 entire projects finished by the end of the workshop. 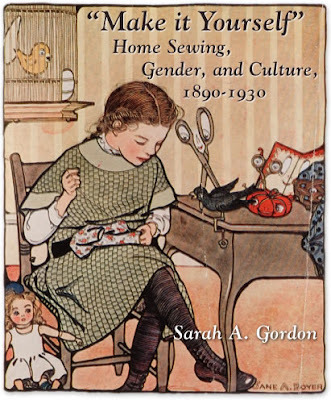 if you are interested in participating in the sewing workshop please leave a comment with the times and days that are most convienent for you. i will look at the responses and determine what is best for the most. you will need a sewing machine to particpate. a friend gave me a few yummy salad recipes. thought you might like them. Try to mix the dressing at least 2 hours ahead. Cut apples and add dressing just before serving. 1 pkg. ramen noodles Brown these 3 ingredients in pan for 5 mins. Try to mix dressing at least 2 hours ahead. Pour on just before serving. i get in bed last night, ready for the pillow. it had been a good day, but a long one. much to my surprise i find this neatly tucked away under the pile of down goodness that my head so longingly wanted. yes that is a light saber, but not just any light saber. that is w's favorite toy. it causes destruction and defends us from the evils of the world a 6 year old mind understands. and then there are the jacks and ladle. those are from the kitchen of sweet baby n. who loves to cook and does not relinquish the ladle very often. and the jacks, those are not jacks. that is a culinary masterpiece that she created just for me. and let's not forget the binoculars because my g man put those there. he was and always is "looking (or wookin' and he says it) for me". these precious items were placed here by 3 little ones that have revolutionized my life. they have taken a once very selfish (i can now categorize myself in the moderately selfish category, praise be to God. and yes He is still workin' on me) person and changed me into this sentimental, humbled, would lay down my life in a second, blubbering girl that i swore i would never be. yes mother sadly i know this sound like you:). and while sleep was the only thing that i wanted last night before my head hit the pillow. after it did, all i could think of was...wow, God you are so good. and why me? and how can i take the imperfect person that i am, so flawed and filthy and honor you oh Lord with every breath that i breathe. 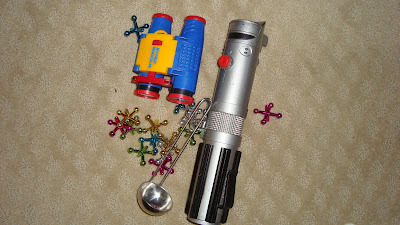 so for me it took a light saber, a ladle, some jacks, and binoculars to put it all into perspective yesterday. what is the Lord using to work on you? i will call my store soon! remember there will be no coupons this weekend. enjoy your weekend celebrating the savior of the world jesus! these are 12.99 this week at toys-r-us. each is normally prices at 19.99 and 24.99. if you print the $5 off each one on coupons.com they will each be 7.99. great deal and cheaper for two than what one would normally cost. i am stocking my gift closet! memory is also $4.99 this week. I wanted to pass on a money making deal at the Hebron Kroger. They have all their Leapfrog stuff on sale. In Sundays paper and in the last P&G insert-they had a $5 off Tag reader or Books. Kroger has their books on sale for $4.50. Also, there is a $4 internet coupon somewhere for $4 off Tag reader books. I got 6 books at $4.50 a piece. I had 4-$5 off coupons (2 from this last Sunday's paper and 2 from the last P&G insert) and 2-$4 off internet coupons printing. I spent 27.00 in books and had $28.00 in coupons:) Great idea for birthday or Christmas presents. They have about 7 different books. They have a lot of their toys marked 50% off too. I was so excited about my deal that I couldn't focus on anything else!! I know there are $10 internet coupons for the Tag Reader, too. They are on sale this week at Toys R Us and Target for $39.99. if you don't go to hebron try your store. see what you think and let me know what else you find. let me know what you are wanting. the paper was choc full today! i only had 3 coupon inserts. what about everyone else? this mornings cartoon is a little different that last weeks. first it is actually in the morning, and next it has nothing to do with saving money. more about saving your life. this man was at our church last week and his music so touched my heart that i think i will forever be changed. isn't it interesting how a simple song can do that to you? in the same respect the common occurance of a baby named Jesus coming to earth, lead to the death of my savior on a cross, and he rose from the dead to save a lost and dying world. you and me and anyone else who will trust in Him with their whole heart. 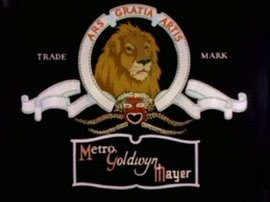 her grand plan is at the very bottom and looks pretty good if you need those products. she really makes good use of mulitple transactions to pay the least amount of money. don't be embarrassed to do this. think about the vacation you could go on the with money that you are saving and it makes it all worth it! here are the sales at walgreens and cvs this weekend. remember if any of these items are something that you need alot of, buy some coupons on ebay and stock up a great price. thanks to mommy snacks for the lists from the stores. below the link is my plan for the two stores. my plan is to buy 9 for $27. then i am going to use 9-$1 off coupons for each one. then i will get back $10 with ECB. that will make total for 9 bottles of johnson shampoo for $8. now that is a great deal! Every week I think God impresses on me what I should write about and this week is no different. I don't really have any parenting tips, per se, but I do want to encourage someone who may be wondering if their mothering is really working. I don't want to forget what it was like when I had little ones who needed me for EVERYTHING. Feed them, change them, carry them, carry the carseat, carry the diaper bag (that had to have everything in it), wipe their noses, clean up their toys, rock them, read to them, buckle them in, get them out of the car, carry them into the store, hold their hand in the parking lot, fix their hair, brush their teeth, get them dressed, push them on the swing, catch them at the bottom of the slide....the list goes on and on. And sure, I still do some of those things and I still have little ones, but there is a difference. I get glimpses of where it will eventually go with my older ones. My kids aren't perfect, by I am starting to see how what I did matters, even the mundane tasks. It's hard when they are little. It's very exhausting and you feel like you just hit repeat everyday. Then as they get older, they do more for themselves. It still requires training and coaching and refereeing. They still have needs or need help with something.....homework, sports, friends, projects, playing. It's still a lot of work, but I can see how being consistent and staying the course in raising them and taking care of them is paying off. They are becoming responsible, considerate, respectful people and ultimately showing God to the world. Our neighbors see it and comment about it. Some friends and family say things. Even strangers make a comment here and there. It's not all the time, but when I see them living in a way that we've taught them, it makes all the work seem worth it. It gives me encouragement to continue training them the way God wants us to. You ARE doing a great job. Keep at it. It is so worth it. They are so worth it. HE is so worth it. 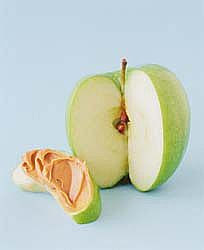 apples and peanut butter. what is yours?